Nokia is planning a “Zoom, Reinvented” event for July 11, which will start 11AM in New York. The fun will start after dark though – a new invite has been sent out for the #ZoomParty, which starts at 7:30PM. The party bears a new tagline too, “Zoom. 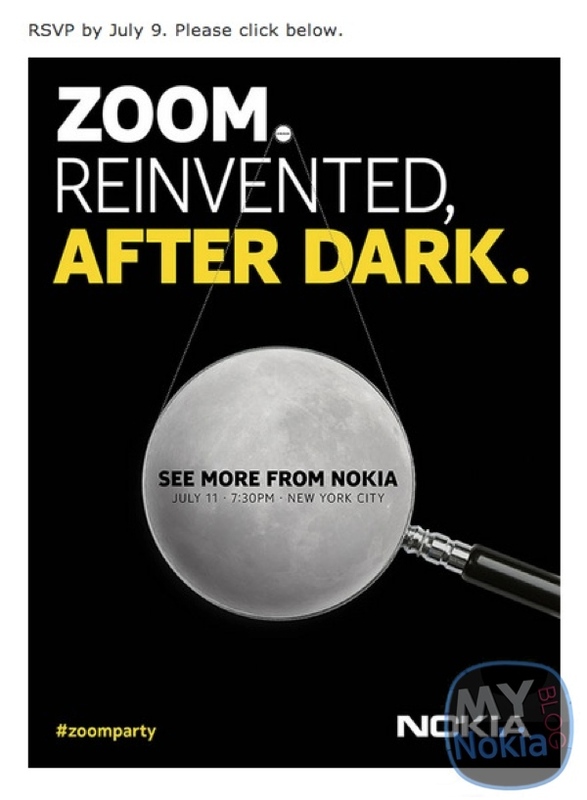 Reinvented, after dark.” This is all in preparation for the Nokia Lumia 1020 / EOS launch. The phone will pack a 41MP sensor (41 million reasons) and that will enable zoom akin to the one the Nokia 808 PureView had, that was PureView phase 1. Then the Lumia 920 came with a smaller sensor, but optical image stabilization and focus on low-light performance, that was PureView phase 2. With all those hints of zoom and low-light imaging, are we about to see PureView phase 3 that combines the two previous technologies?